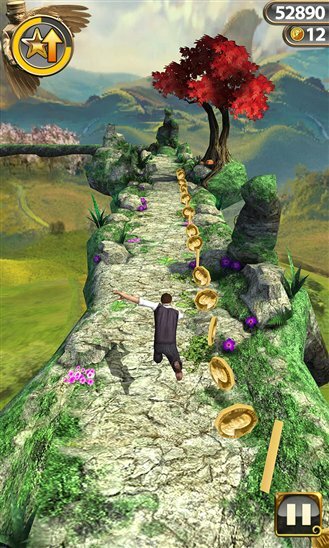 Temple Run: Oz finds its way to Windows Phone 8 devices. Imangi Studios and Disney presents Temple Run: Oz - a brand-new endless runner inspired by Temple Run 2 and the film Oz the Great and Powerful. You can now download the game from the Windows Phone Store for $0.99 (USD). Play as Oz and outrun the shrieking flying baboons as you turn, jump and slide your way across the land. Begin your exhilarating adventure now and see how far you can run! The most thrilling running experience now comes to the yellow brick road!